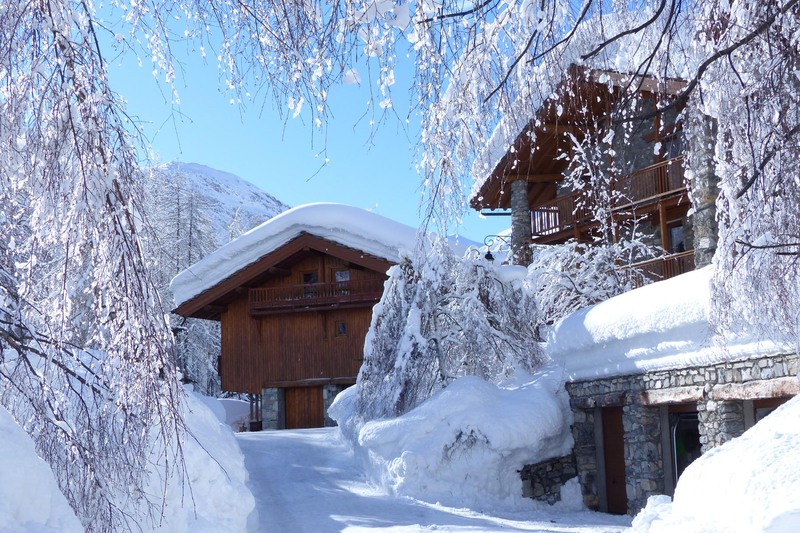 Snow is probably the most important ingredient of your ski holiday, and is what Val d’Isère is most famous for. The snow that has fallen this Christmas/New Year 2017 and January 2018 has been epic in the true sense of the word, beating all records from the previous 30 years. 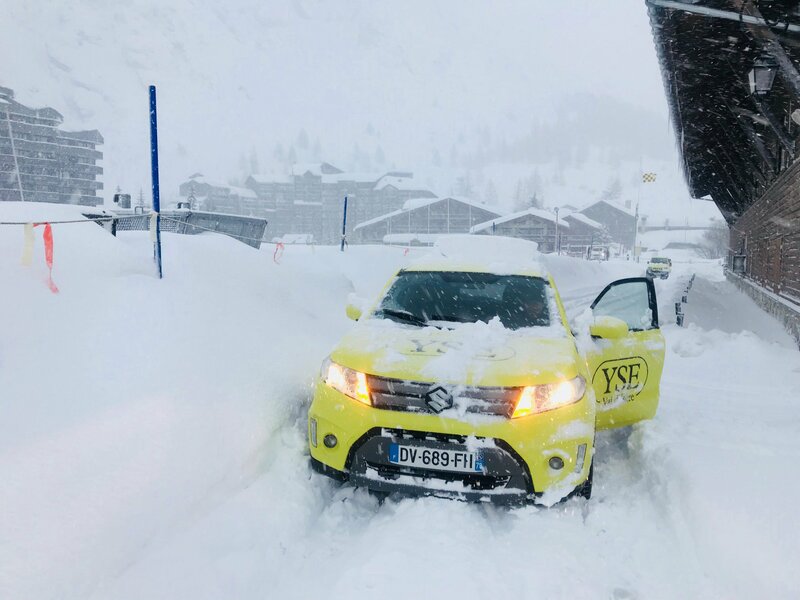 While holiday-makers had to endure days spent inside and disruption on the roads to and around Val d’Isère, once the pistes re-opened all was forgotten as conditions have been spectacular (and snow-cover is guaranteed until July!). All the images on the left were taken in early January 2018. Being high (1850m – 3200m), Val d’Isère gets snow when the westerlies are dropping rain elsewhere. And being tucked into the Italian border, it also catches occasional snowfall from the east, which doesn’t even reach neighbouring Tignes. The value of its unique location is starkly true in a less snowy winter. The beginning of the 2014-15 season saw the slopes open in Val d’Isère while there were just muddy fields in other well-known ski resorts. But the exceptional snowfall is just half the story. How well it lasts is even more important. A ring of high ridges and glaciers protects Val d’Isère from warm southerly winds, while the steep climb from Bourg St Maurice and narrow gorges just outside the village keep out the warm air of spring. Most of the slopes are tilted north, which preserves their snow. You only have to look at the south-facing side of the valley – where there are no ski slopes – to see how clever Val d’Isère has been with its geography. 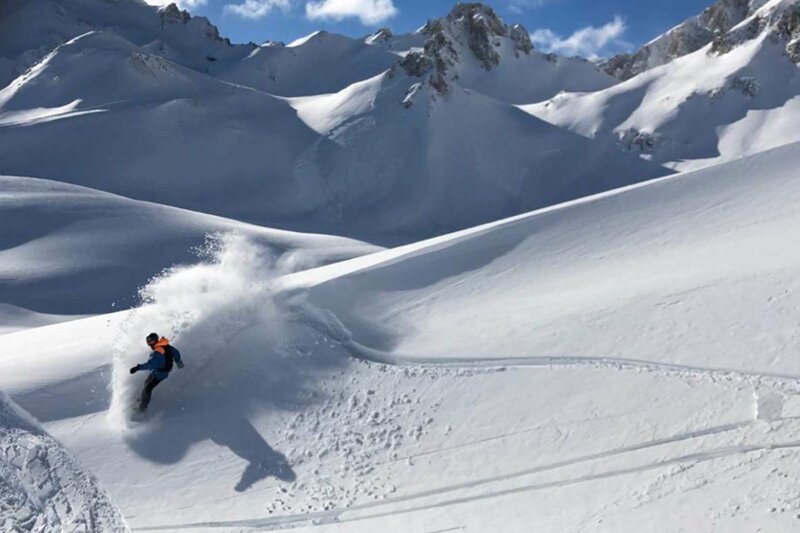 Added to these natural advantages is one of the world’s biggest snow-making systems, guaranteeing snow on 47 of Val d’Isère’s 150km of marked runs. 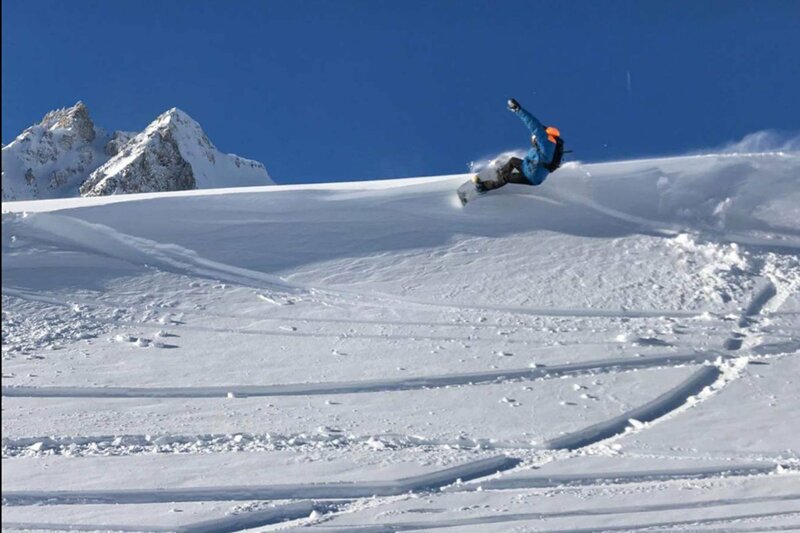 Val d’Isère alone now boasts 557 snow cannons, and it has several healthy streams to supply them. 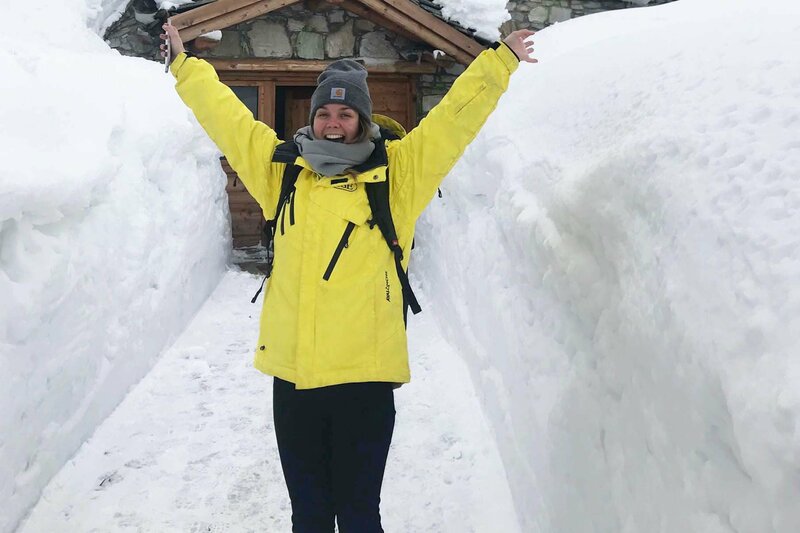 Ski resorts are not allowed to empty their streams, and there are strict quotas, so Val d’Isère is fortunate that it has plentiful running water. Indeed, one of France’s biggest rivers, the Isère, rises on its slopes. In a typical winter the resort produces about 1.8 million cubic metres of artificial snow – enough to cover the M4 from London to Bristol a foot deep! 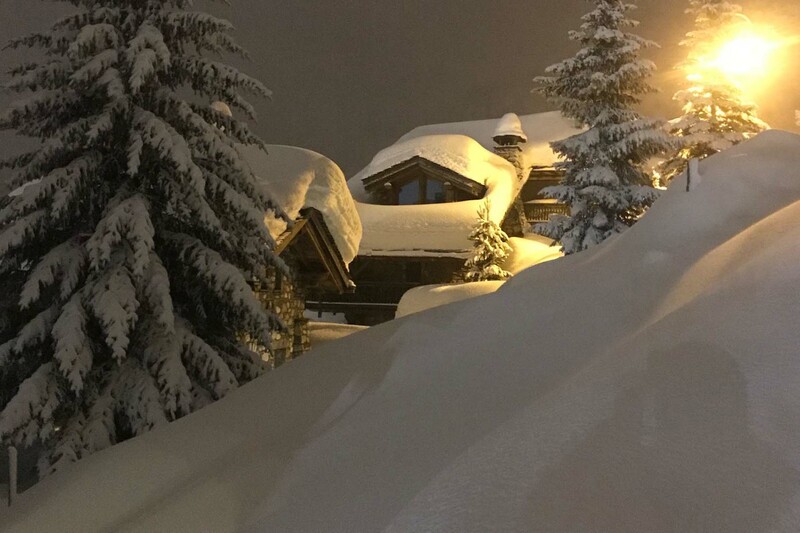 This might not sound very important, compared with the 500 million cubic metres that fall naturally, but the artificial snow forms a hard base on the lowest and busiest runs early in the season which the natural snow will lie on. It is a major reason why even at the very end of the season nearly all of Val d’Isère’s runs are fully skiable right to the bottom. Finally, Val d’Isère has an impressive fleet of ratraks grooming the snow overnight. Some have winches enabling them to push snow back up even the steepest slopes. Obviously, every ski resort works hard to keep its pistes in the best possible condition. Val d’Isère, realising that its snow is a God-given advantage, just seems to work particularly hard and well. For a day-by-day view of the weather conditions in the past six seasons, visit our Flickr photo albums.